President Museveni sent condolence message and Shs5millions to the family of Resty Nalinya, the woman who lost her life to assassins with the former Buyende District police commander, Muhammad Kirumira. During the burial ceremony on Monday, the RDC accused the media, NGOs and Civil Society Organizations of being behind all the killings in the country. "Killers, thieves, murderers are used by foreigners, NGOs, CSOs, terrorists to destabilise our country through financial support and using desperate youths to incite violence. You're joking. You’ll not rule this country and you should stop the violent means of taking over power," Mr Nayebare told mourners. "It's greed and scrambling for power that killed our daughter, Resty," the catechist said. "Heroes are assassinated by the cowards and these cowards should get to know that God is the only judge of human life, not politicians, not police, not the army," the catechist added. "We're investigating this case and a report shall be made," the IGP’s message read apart. President Yoweri Museveni has accused international players of repeatedly interfering in the internal affairs of other countries including his Uganda. In a warning against foreign interference during his four-hour long state of the nation address on Sunday night, Museveni claimed some unnamed foreign countries were determined to influence Uganda's politics by channeling financial assistance to the opposition through civil society organizations (CSOs). 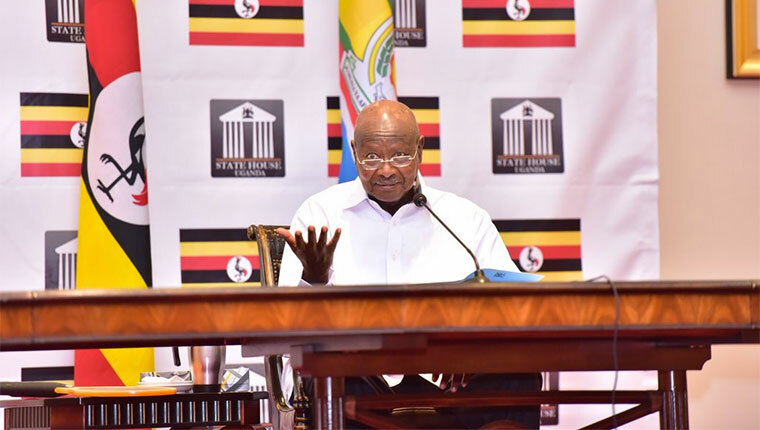 Museveni noted that NGOs funded by foreign governments, on the African continent give money to opposition players as well as advise and lie on their behalf. "These foreigners may think that Africans are weak and foolish," Museveni said. President Museveni According to Museveni, external forces cannot claim to have more knowledge and solutions to challenges affecting countries such as Uganda, saying this would lead to mistakes as has already been made in Vietnam, Iraq, Libya, Cambodia and Afghanistan. "It is important that external players refrain from interfering with the internal affairs of other countries. Interfering with the internal affairs of other countries is morally and practically wrong. Morally wrong, because the question is what kind of intelligence do you have to think that you can understand the problem in my house better than we the occupants. If we have a problem in our house, we, the occupants will solve it. It is also practically wrong because outsiders cannot have enough information about a foreign situation. They are most likely going to make mistakes. If there is any problem in Uganda, I will surely handle it better than the outsider." Museveni said. The president also said he would enact the Sovereign Act in the 1995 Constitution, which provides that the independent of organs of state must go with responsibility and accountability. Under Articles 1 and 2 people are sovereign and exercise their sovereignty through the Constitution, which is the supreme law of Uganda and has a binding force on all authorities and persons throughout the country. Museveni accused CSOs of hiding under the Sovereignty Act to fund citizens against his government. He hailed the Americans for 'harassing' their President Donald Trump on his alleged connection with the Russians. "We should amend it [Sovereign Act], I propose an amendment so it’s clear because it is meaningless to say all power belongs to the people and then you interfere with those people when they’re making their decision. I have to enact the Sovereignty Act where citizens who help foreigners to interfere in our politics would attract appropriate legal sanctions." he said. "The people who are fighting with Mr Trump, they say the Russians hacked the computers I don’t know of who and got information about Clinton which they then gave to Trump and Trump used it but they are saying that this was a crime because a foreign power interfered with our politics and I totally agree with them because that would be really interference. But here it is not information, it is actually money, meddling, misinforming." Museveni has repeatedly accused NGOs for their alleged involvement in funding demonstrations across the country. He claimed that during the recent demonstrations over the arrest and alleged torture of Kyadondo East MP Robert Kyagulanyi, Mityana municipality MP Francis Zaake and other suspects, some youths were paid between Shs 100,000 and Shs 300,000 each to burn down Kampala city but they were stopped by security. The protests drew the attention of the international media and condemnation in various cities across the work. 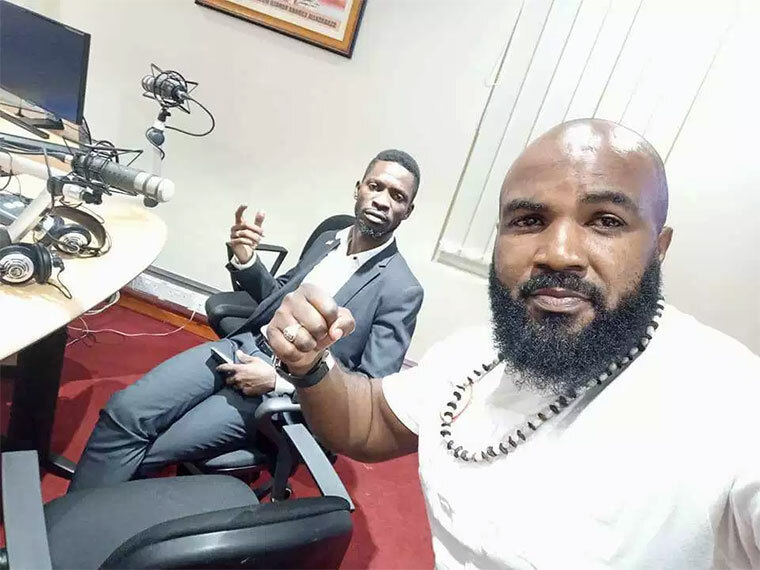 While addressing an international press conference in Washington DC last week, Kyagulanyi's lawyer, Robert Amsterdam vowed to press the US government for sanctions against targeted government officials their alleged involvement in torture. "We want the US government to immediately suspend military funding to the Ugandan government and launch an investigation into how the military equipment supplied to the Ugandan army is being used in the war of terror in torture against Ugandan citizens." According to Arthur Larok, the federation development director for ActionAid International, a global movement of people working together to further human rights for all and defeat poverty, targeted sanctions against individuals in Museveni's government are effective. He however, said CSOs have reservations on the calls for economic sanctions since they affect citizens largely. "I don’t think many of our security officers are just interested to travel to Russia or travel to some other country that doesn’t provide military aid. So you need to check Human Rights Watch’s report about how much money the US government extends to SFC not even UPDF. That is an opportunity for a conversation between those two governments. So targeted sanctions are understandable but as civil society we haven’t reached that point and I don’t think we can call for open-ended sanctions because at the end of the day, it is ordinary citizens that suffer, we have learnt this from many countries." said Larok. Last week the European Union denied funding protests in the country but admitted to funding activities of both the government and private sector. "The statement that there are foreign powers or foreign development partners behind NGOs, that in itself for me is not a problem. Because you could also say there is also foreign agents and foreign countries behind government. You know, the EU has a programme with the government of Uganda for €582m for 5-6 year period so there is foreign power lets say or foreign union very very strongly behind government. Does it raise any objections? Probably not. Government is appreciative of that." said Thomas Tiedemann, Head of governance and human rights at the European Union delegation to Uganda. Besides government, Tiedemann said development partners, equally fund the private sector and civil society organisations. He pointed out that European Union Mission in Uganda is supporting the implementation of the national development plan but it doesn't mean it's the plan is serving foreign interests. There is no development partner, he argued, implanting ideas in Uganda's civil society. "In the same vein, the European Union supports the private sector in Uganda and in the same vein, the European supports some civil society activities in Uganda. We’re behind them, we’re supporting them just like we’re supporting the implementation of the national development plan through governments that we have with government. That doesn’t mean that the national development plan was drafted by us or reflects our thinking. It reflects Ugandans." said Tiedemann. Angry mourners today chased away Internal Affairs minister Gen Jeje Odongo and police spokesperson Emilian Kayima from the burial of former Buyende district police commander Muhammad Kirumira. Tension and tempers were raised early on as soon as President Yoweri Museveni made his way to the scene of crime yesterday night in Bulenga at around 11.52pm - just a few hours after the police officer and his friend Resty Mbabazi Nalinya had been gunned down. Museveni was heckled at by angry residents, who, accused his government of failing to protect the maverick former police boss. And, today morning tempers were raised even further when police was blocked from accessing the home of the fallen police officer in Bulenga. Mourners accused police ‘kawukumi’ (weevils) of killing Kirumira. Kawukumi was a reference used by President Museveni to refer to the rogue police officers following his sacking of Gen Kale Kayihura as police chief earlier this year. Kirumira was a vocal critic of Kayihura’s police leadership, who he accused of presiding over a corrupt police force that instead of preventing criminality was working in collusion with the criminals. From police, mourners only accepted former operations commander for Kampala region ASP Sam Omala into his home in Bulenga that police once broke into to flush him out on February 1, 2018 to take him to the police disciplinary court. Chanting ‘People Power, Our People’ slogans, mourners in Bulenga threatened to stone any police officer who dared show up at his home. Police wisely retreated but the stoning threat came to fruition when mourners pelted stones at Odongo and Kayima. Although Odongo had been reluctantly allowed by mourners at the burial venue in Mpambire, all hell broke loose when Kayima made it to the burial grounds. First heckled and asked to leave, it was a rain of stones pelted in the direction of the two officials who ran for dear life. 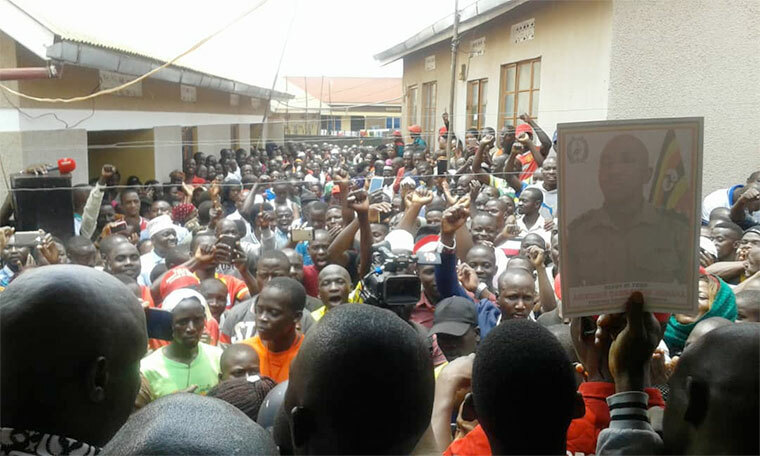 But opposition politicians including former Forum for Democratic Change party president Kizza Besigye, Kampala mayor Erias Lukwago, Busiro East MP Medard Sseggona were roundly cheered when they showed up and gave speeches. Earlier in February this year, Kirumira reported to Lungujja police station, a case which was registered under SD REF: 43/28/02/2018, stating that his life was threatened by unknown people who followed his car using numberless motorcycles. "Unknown people are trailing me from one place to another, with no clear motive. I have now connected dots on this surveillance on my movements; these are associates of some officers facing various charges in military court and possibly some friends of Kitatta [Abdallah of militia group, Boda Boda 2010] camp," Kirumira posted on his Facebook page in March this year. But in the same post, Kirumira was optimistic that he would use both in overt and covert operations training he acquired from the Gaddafi Defence College to deal with what he called rudimentary criminal elements' that was trailing him. He added that he was ready to sacrifice his life, if it paid the price for correcting the image of the police. Indeed as he predicted, on September 8, Kirumira was killed by unknown assailants riding on motorcycles. His wife Mariam Kirumira said; yesterday, it was her husband who was killed, and if the weapons and criminals are not controlled and contained, another person’s husband and child will also be killed by the same weapons. Kirumira's father, Abubaker Kawooya said the news of the murder of his son did not surprise him as he had been expecting it anyway. He said those who thought that by ending his son’s life they would hurt the family, he was getting solace from the love shown to his son during his send off in Mpambire. Hundreds of mourners attended the burial of Kirumira, chanting ‘People Power’ slogans throughout. The electronic identification of boda bodas would have helped us to identify these people quickly. However, while still using the old methods, I want to salute the residents of Bulenga for, although not armed, some Boda Bodas gave chase to the killers- 4 of them riding on motorcycles - up to Mile 9. People who had gathered at the crime scene where former Buyende District police commander, Muhammad Kirumira was shot, yesterday, heckled President Museveni telling him that they were tired of the manner in which people are being assassinated. President Museveni arrived at the scene at about 10 minutes to midnight, walking amidst tight security of the Special Forces Command. The crowds that had been made silent by the army started bursting out, one-by-one from different corners saying they are tired of tyranny and brutal killing of high profile citizens. The SFC swung into action and dispersed the crowds, journalists were ordered to switch of their cameras, and the live coverage of the crime scene was stopped. About 40 minutes later, Mr Museveni gathered around a few people, asked them what happened. Two eyewitnesses were brought forward, he ordered the security to put them into his car, and they were dragged in with their shirts off. Before the president went away, he turned and looked at the people, waved at them and told them, “mwebale nyo” (a Luganda phrase meaning thank you so much). The already charged crowd did not reciprocate the appreciation; they hurled more complaints as the president moved away. The people complained that prior to his killing, Kirumira and his father Mr Abubaker Kawooya, had called on the president for protection and told him that he would be killed but he turned a deaf ear. “Mzee, Kirumira told you that they wanted to kill him, but you didn’t listen to him. His father also approached you about the same but you chose to go quiet on it. Can you tell us who our president is, if you can’t settle all these killings in a country you are leading?” one of the emotional men in the crowd shouted before he was refrained by the police. Mr Kirumira was gunned down together with a woman commonly known as Mukyala Ali who operated a Mobile Money kiosk at Bulenga trading center. According to eyewitnesses, the incident happened at around 7:10pm but it took a while before people gathered to start circulating the news. Police arrived and fired bullets in the air to disperse the people. KAMPALA. The Inspector General of Police, Martin Okoth Ochola has deployed former Deputy Director Geoffrey Musana, who has not been deployed for more than three years. In a police message sent on Tuesday, Senior Commissioner of Police (SCP) Musana has been reverted from the Directorate of Criminal Investigations to Human Resource Administration as the deputy director. "The transfer and appointments take immediate effect," IGP Ochola said. He replaces SCP Benjamin Namanya, who has been sent to Peace Support Operations as the deputy director. SCP Namanya is experienced in peacekeeping missions where he has served for more than five years. IGP Ochola has also transferred Commissioner Michael Mugabi from Police Training School Kabalye in Masindi District where he has been the commandant to police headquarters as the Commissioner in charge of Training. Commissioner Mugabi Mugabe has been replaced by Assistant Commissioner Abubaker Ziwedde. ACP Ziwedde has been in training in senior command and academy in Musanze, Rwanda. ACP Simon Peter Wafana has also been transferred from the Directorate of Operations to the Directorate of Human Resources to head manpower audit. The Inspectorate of Government is investigating Godfrey Bangirana, the police director of engineering and logistics for alleged financial impropriety. Bangirana is accused of misappropriating more than Shs 100 billion. The spokesperson of the Inspectorate of Government, Munira Ali has confirmed the ongoing investigations. "It is true we are investigating the directorate of logistics but that is all I can say," Munira told URN. The investigations, which commenced about a month ago, stem from inflated procurement costs on the implementation of police projects. The projects being queried include the construction of Natete police station and the repair of an old police chopper. 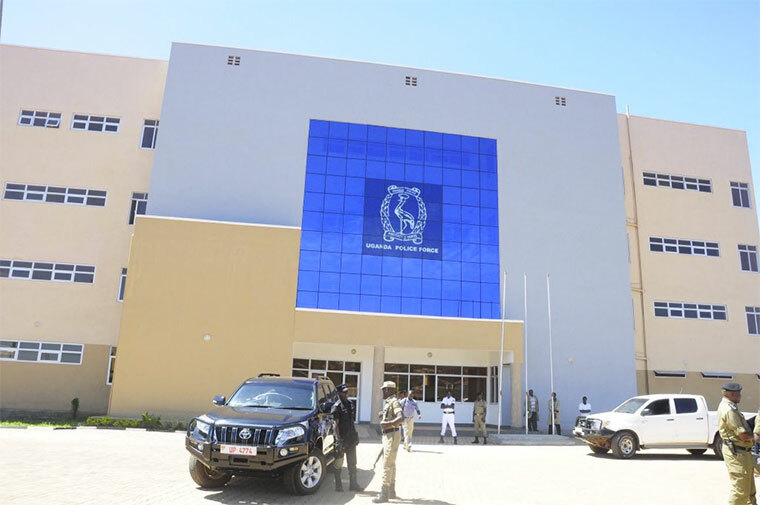 According to a source in the Office of Inspectorate of Government, Bangirana together with other officers in the directorate of engineering and logistics used more than Shs 100 billion to construct Natete police station, whose ideal price shouldn't have exceeded Shs 10 billion. While the total construction of the station was estimated to cost Shs 7.8 billion, by the completion of the construction, police instead spent more than Shs 100 billion. Bangirana who is at the rank of Assistant Inspector General of Police (AIGP) also reportedly paid Yamasec Limited more than Shs 10 billion to repair a scrap helicopter. The seven-seater Bell 206B American helicopter was grounded in 2002. The helicopter was purchased in 1986 shortly after President Yoweri Museveni took power. The helicopter was then handed over to Yamasec in 2016, which returned it to the police leadership on May 31, 2018 after repairs. However, even at the official handover ceremony, the helicopter had trouble taking off. The helicopter is said to have been grounded after flying only twice despite the Shs 10 billion police spent to repair it. This is not the first time Bangirana is coming under the spotlight for alleged financial impropriety. Before the former Inspector General of Police Kale Kayihura was dropped. he'd instituted investigations into the operations of the engineering and logistics directorate and human resource administration. Kayihura was fired and replaced by Martin Okoth Ochola before the investigations could take shape, which saw the inquiries die a natural death.